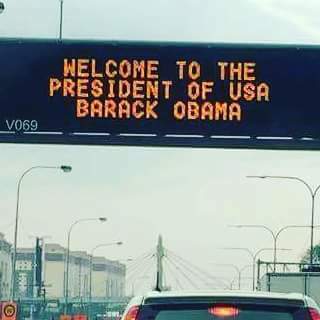 The widely debated signboard which was eventually corrected. I’m sure he read it and nodded in grave disappointment. After all, America is the birthplace of the English Language. While our minds are yet to recover from this language-based blunder, we now have to deal with another one, only this time in the form of a menu. 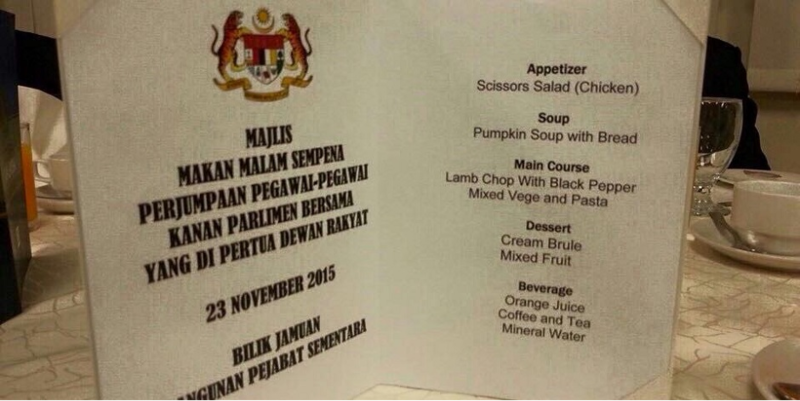 This menu had listed “scissors salad” as an appetiser for a dinner in Parliament with the Dewan Rakyat speaker. Before we jump to any conclusions about how horrible the person’s English proficiency might be, maybe, just maybe, it was a clever wordplay on the theme of the event. Maybe they were discussing budget cuts? Get it? Scissors and budget cuts? No? I thought so, moving on. The menu also featured the delicious and sugary custard-based dessert, Cream Brule, or as most people would call it, crème brûlée. The image of the spelling errors was snapped during a formal dinner function between senior parliamentary officers and the speaker on November 23. The Dewan Rakyat Deputy Speaker, Datuk Ronald Kiandee, has clarified in a humourous Facebook post that there was no scissors in the salad, and that it was just “Caesar salad”. Since then, it was making rounds on Social Media. In fact, Youth and Sports Minister Khairy Jamaluddin made the following remark on his Twitter account with a suitably accompanying image. Weirdly, I now have a huge craving for scissors salad!